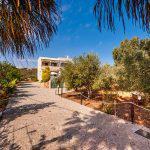 Villa Renata is located in Megala Chorafia, just 2 km away from the sandy beach of Kalives and 15 minutes walk away from the ancient town of Aptera. 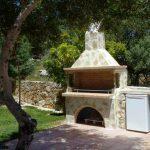 In less than a five minute walk away you can also find many traditional tavernas as well as a mini-market. 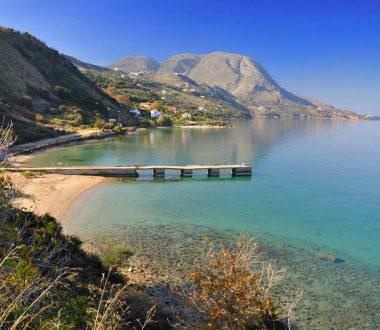 Megala Chorafia is a picturesque hilltop village surrounded by green countryside with panoramic views of the magnificent White Mountains and the Aegean, and it is located 9 km away from Chania. 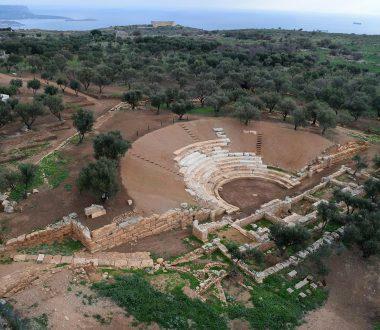 Megala Chorafia is developed in two cores; the first core is around the junction that leads to some of the traditional villages of Apokoronas (Samonas, Stilos, Provarma, Machairoi) and the second core is developed next to some of the ruins of the ancient city of Aptera (the ruins are spread out over two hills. 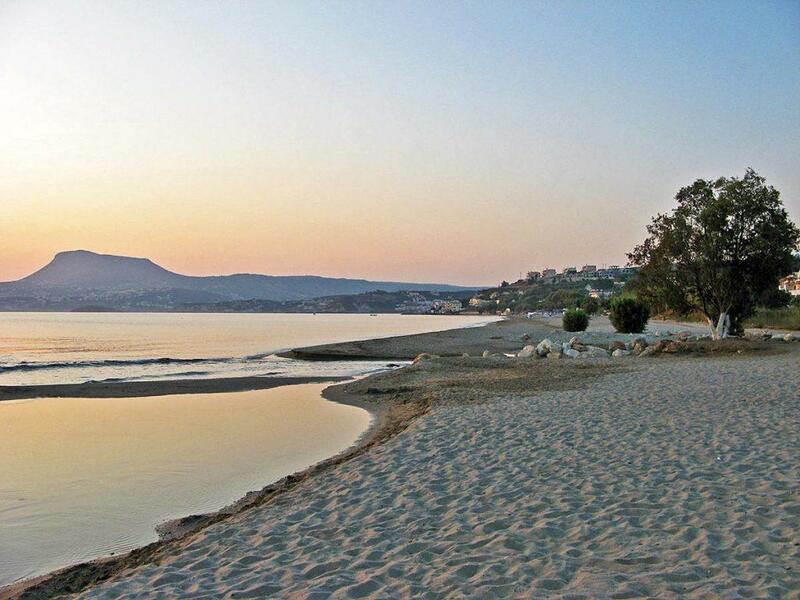 While staying in Megala Chorafia you can go for swimming or entertainment in the excellent sandy beaches and the lovely waterfronts of Kalives (3 km), or Kalami (1 km), Kiani Akti (1,5 km) and Almirida (8 km). If you want to eat something you can try the traditional tavernas located in the first core (there is a mini-market here, too). The village is well-located to make excursions to the nearby, traditional, (in the countryside) villages of the Apokoronas district; in Stilos you can have a drink in the shady cafes, in the Samonas village you should visit the lovely isolated church of Ayios Nikolaos with fantastic medieval frescoes) exploring the traditional Crete; you can see wild flowers unique in Crete or walk in many small gorges in the Apokoronas district. 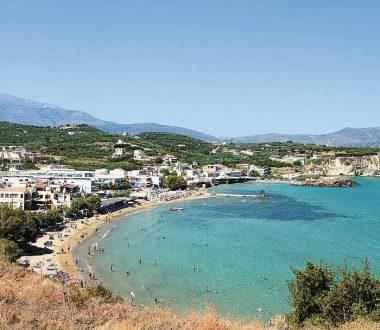 From here you can also explore the rest of Crete as the distances are small; Megala Chorafia is next to the National Road leading you everywhere in Crete. 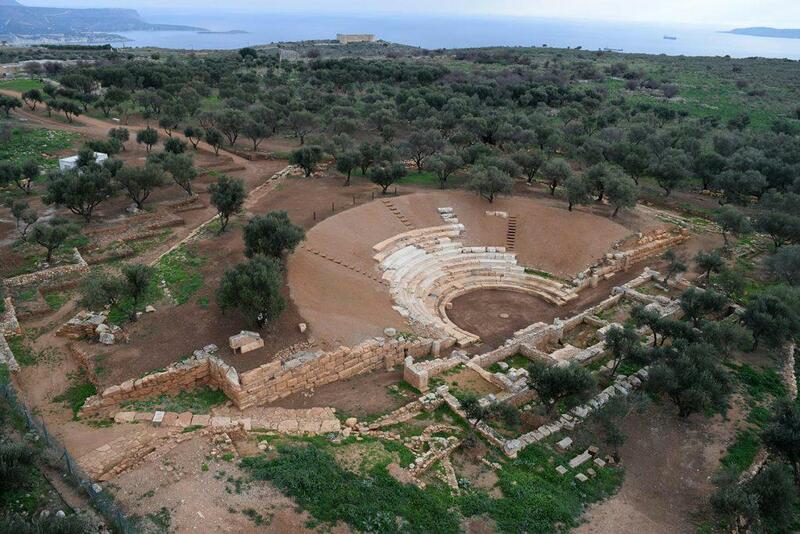 Aptera was one of the most important city-states of Crete. The first epigraphic occurence of its name is found in the Linear B tablets (14th – 13th century B.C.). 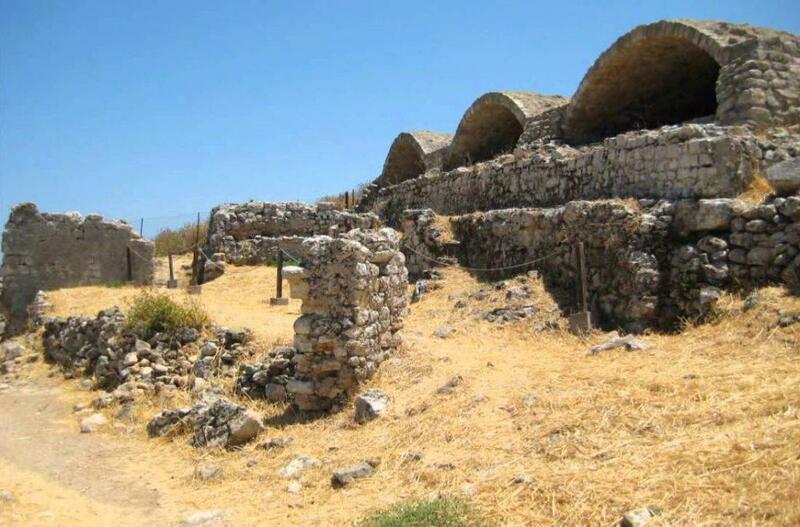 The history of the city continued through the centuries until the 7th century A.D., when an earthquake destroyed it. Its ideal location was determinative for its development in an important commercial and political center. 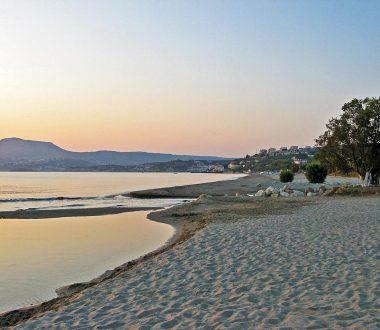 By harbors, Kissamos and Minoa, located on both sides of Souda Bay, Aptera was able to control the naval activity. The era of the city greatest peak was the early Hellenistic period (late 4th – 3th century B.C.). 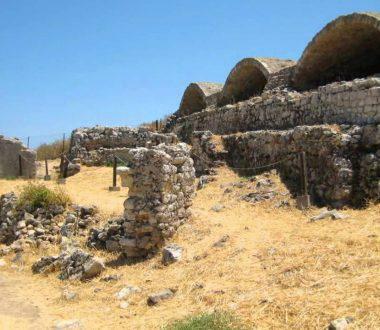 Paleokastro is 5 km from the center of Megala Chorafia, the fort was built by the Venetians on the site of the ancient town Aptera, which was aimed to protect the Souda Bay from possible attacks or invasions. The walls, which were oriented from north to south in some places were 1.5m wide, 3m high and was equipped with arched tanks. A wide road connected Palekastro to the sea. 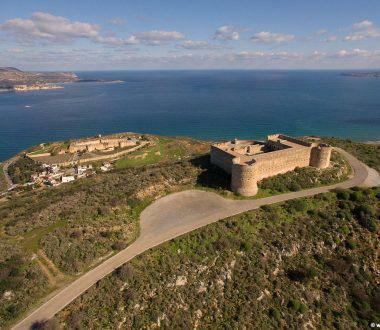 Near the fortress, a small settlement was developed, where the Venetian Generale Giannbatista del Monte planned to move the residents of Chania, after demolishing the fortress, because he considered Chania Castle inappropriate for defense. But that never happened. 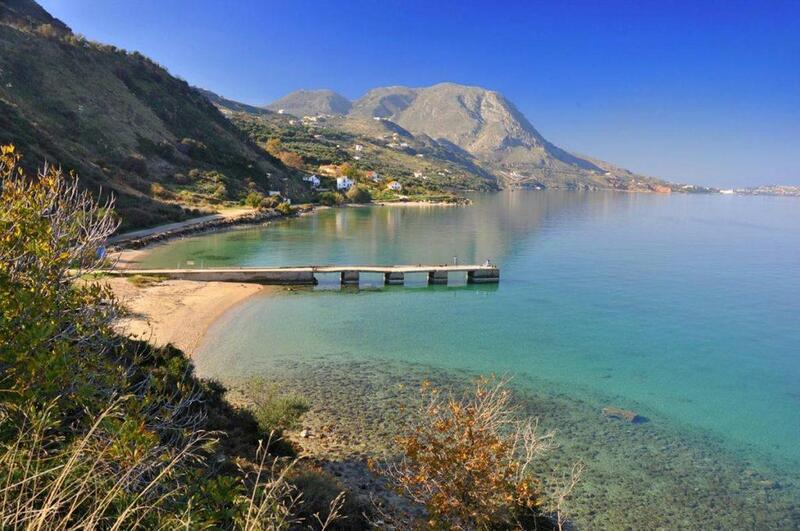 When Barbarossa ravaged the north coast of Crete in 1538, he destroyed Paleokastro and the neighboring settlement. 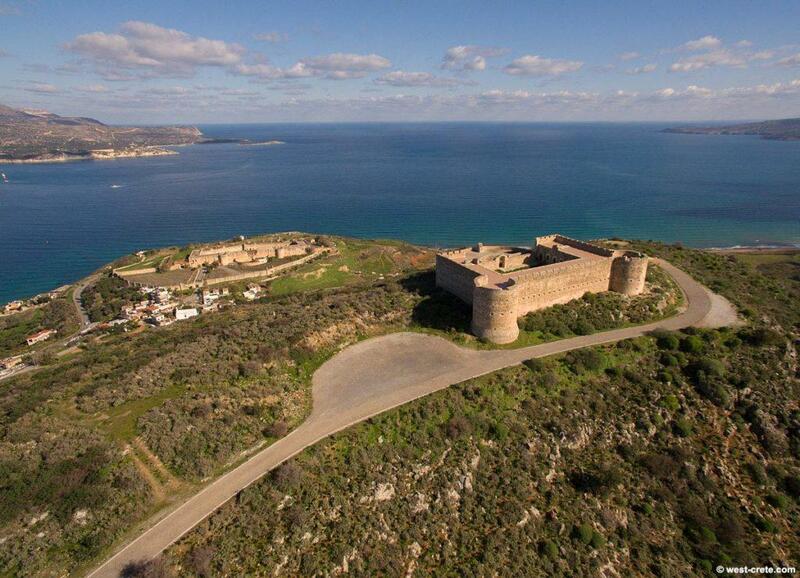 The destruction was completed by Sultan Selim, when he attacked Chania, thus almost nothing remains from the fort today.